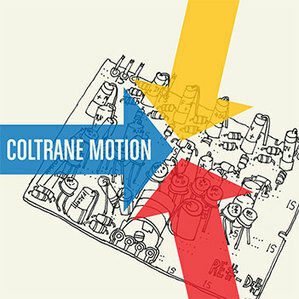 The Chicago duo Coltrane Motion are getting a lot of buzz right now, thanks to their mix of sixties electro-pop, drum loops and fuzzed out psychedelics. For some, it might cause head trauma. For others, it's addictive and fresh. Their live shows already sound like the stuff of legend, as some have described the Coltrane Motion rockfest as an "exuberant seizure." Maybe it's the odd vocal stylings, the placement of the keyboard riffs, or the "I feel like I've done a boat load of drugs and I'm hovering in space" vibe. Kids, don't try this at home. Look for their first official full-length next week. hope to see them in nyc this thursday. hadn't heard of them until this week but their back catalogue is dope.